Executioner 5 Points Kill 1000 enemies. Manslayer 5 Points Kill 500 enemies. One Man Army 5 Points Kill 3000 enemies. Shuriken Hater 5 Points You know you do. Destroy a lot to get this medal. Thunder Slam 5 Points Unleash Lunar Pounce at the highest peak. Twin Wolves 5 Points Unleash the final combo attack. The Genocide 50 Points Kill 5000 enemies. The True Hero 50 Points Slay the final boss in "The Fool" mode. Blood of the Endless 100 Points Kill 1000 enemies in "Endless Mode"
Silver Hammer 10 Points Silver Hammer ! Gold Hammer 50 Points Gold medal ! Great Champ ! 50 Points Over 35 !!!! Platinum Hammer ! 100 Points All secrets unlocked ! The Game in the Game 10 Points Secret Medal: Unlock this medal to view its details! Poop Toucher 5 Points You touched a poop! Demolitions Inexpert 10 Points Sir I asked for your Heavy Equipment Operator License. This is a holographic Blastoise. 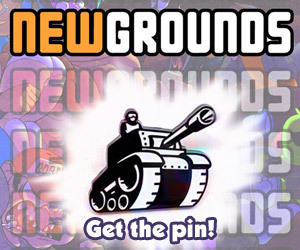 My Name is David 10 Points Secret Medal: Unlock this medal to view its details! One Roommate with Extra Froth 10 Points Secret Medal: Unlock this medal to view its details! Ahab's Revenge 25 Points Secret Medal: Unlock this medal to view its details! Stock Market Crash 25 Points Secret Medal: Unlock this medal to view its details! Telecommunications Blackout 50 Points Secret Medal: Unlock this medal to view its details! You havin a jiggle, mate? 50 Points Secret Medal: Unlock this medal to view its details! It's a kitty! 100 Points Secret Medal: Unlock this medal to view its details! Conversationalist 10 Points Secret Medal: Unlock this medal to view its details! Charmander, I choose You! 25 Points Secret Medal: Unlock this medal to view its details! Gathering of Evil 25 Points Secret Medal: Unlock this medal to view its details! Perfect Free Fall 50 Points Secret Medal: Unlock this medal to view its details! 5 Points Find Bert the Clown before he finds you! The Cycle 25 Points Secret Medal: Unlock this medal to view its details!